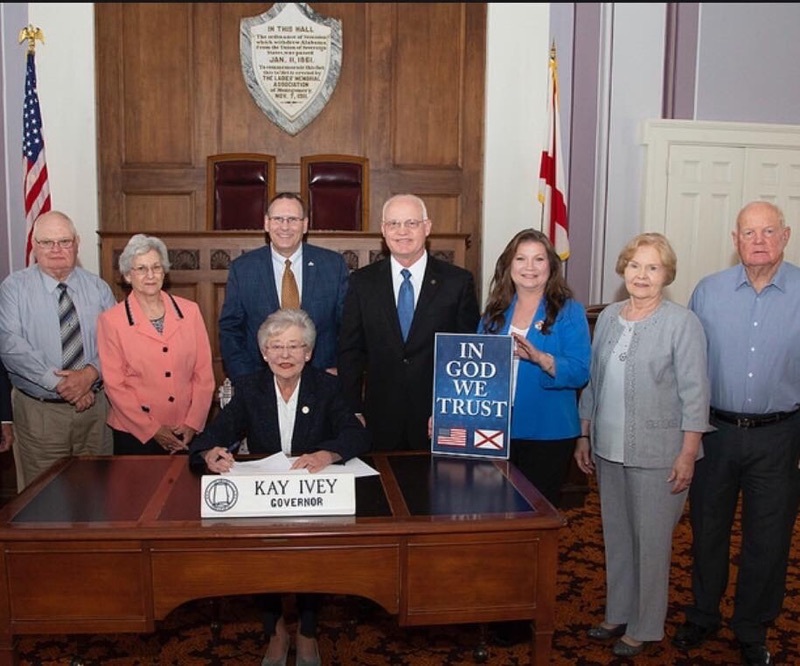 With the bold leadership of Alabama Legislative Prayer Caucus members, including sponsors Representative Standridge and Senator Shelnutt, the National Motto “In God We Trust” Act has been passed and signed by Governor Ivey. Now America’s national motto, “In God We Trust” will be in school classrooms, courthouses, libraries, office buildings and law enforcement vehicles throughout Alabama, making a BOLD statement about the true foundation of our nation. Thank you Alabama for your strong leadership. Please continue to pray for these leaders!